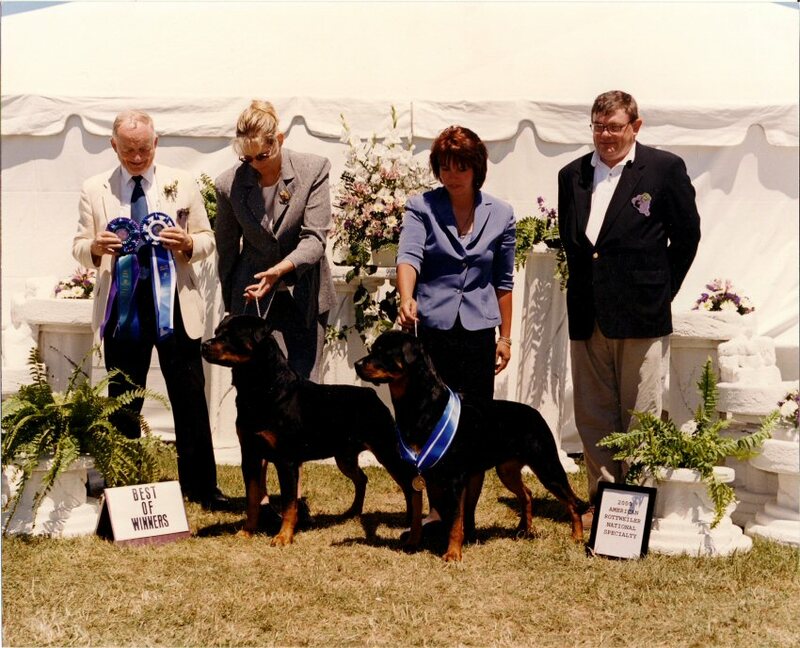 Shown here together, Rusty and his daughter, Misty, took an impressive Select Award of Merit and Best of Winners respectively at the Am. 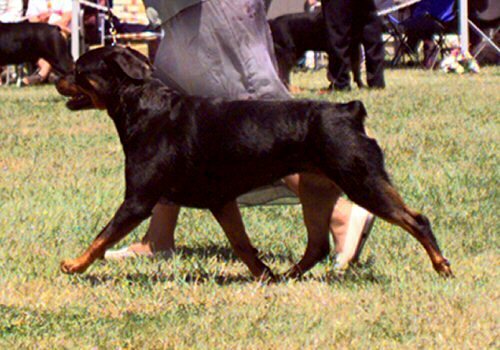 Rottweiler Nationals in Petaluma, CA. 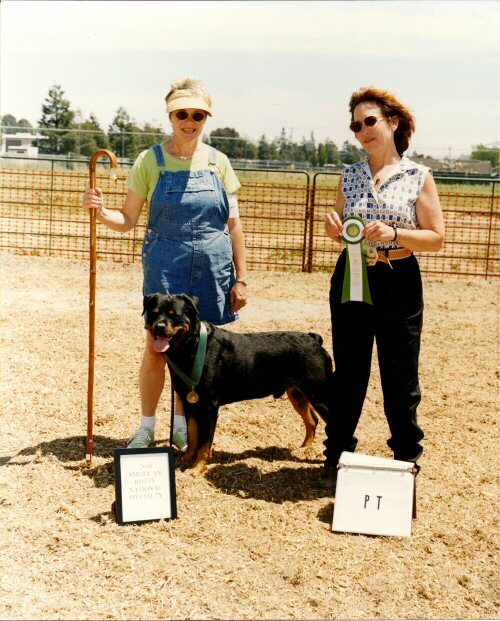 Rusty competed and added a second leg toward a herding title. 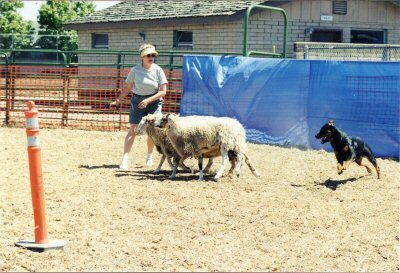 Misty is shown below right in BOW competition and a spirited try at herding as well.